As a pet owner, you know how important it is to give your dog the care and attention he or she needs. However, if your dog spends a lot of time alone during the day while you are at work, then you know your dog is not getting the attention he needs, which may lead to feelings of guilt for you as well as some not-so- nice behaviours in your dog. If this is the case in your household, you may want to consider sending your pet to dog daycare. We provide a special service for busy dog owners with a pick up and delivery between (Pick up) 8 and 8.30 am (Delivery:) Between 5.30 and 6.30 pm within the Gore area. One of the primary reason that dogs can develop destructive behaviours is boredom or separation anxiety. If a dog is left by himself for several hours a day during the work week, he may become exceedingly bored or overly anxious, either way, this can manifest into a wide variety of destructive behaviours such as chewing, excessive barking or howling, and even accidents. A great daycare situation will offer healthy stimulation preventing these behaviours. Dogs are creatures of habit and very much like routine. 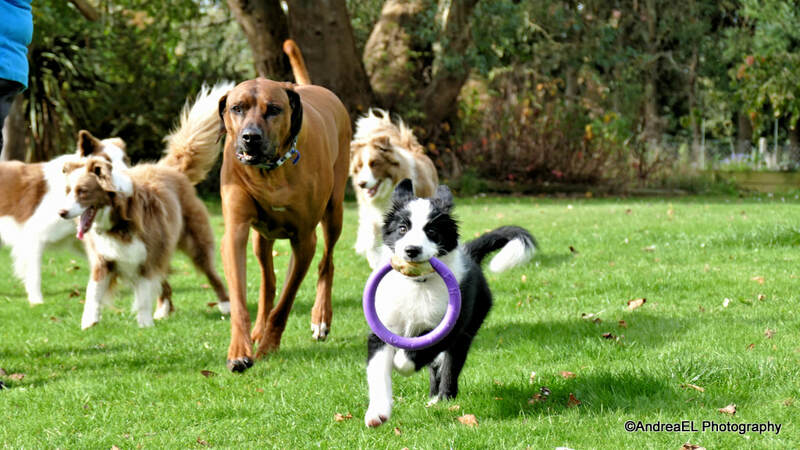 Sending your dog to daycare will help maintain a daily routine of walks and playtime. 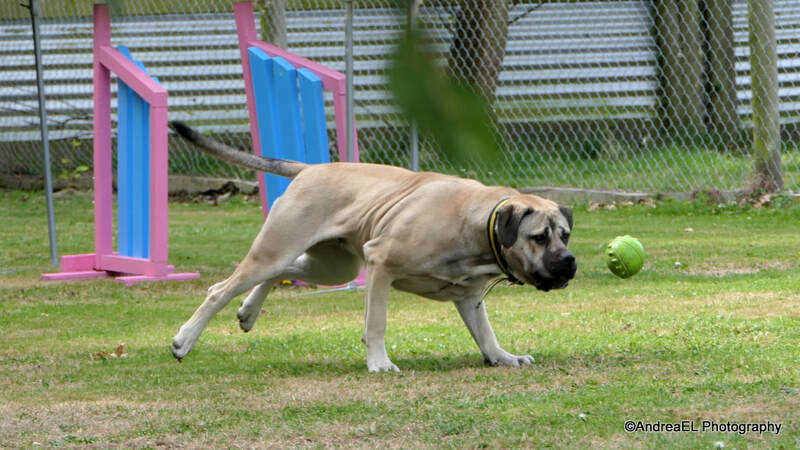 Here at Pukerau Boarding Kennels, our daycare provides a regular routine for your dog that always includes a playtime. One of the major benefits of sending your dog to daycare is that he or she will get exercise daily which is so important for your dog’s overall health. For you, the dog owner, you will enjoy peace of mind knowing that your dog is being well-cared for while you are at work eliminating the guilt you may have felt while he was home alone for so many hours at a time. 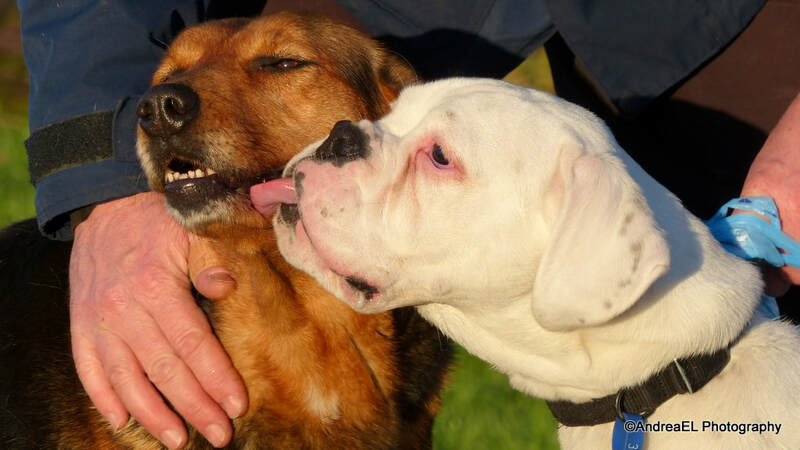 Having your dog around other dogs as well as other humans is a great means of providing socialisation for him. This can be a great tool in training a dog to remain calm in a variety of situations. Sending your dog to daycare will provide him with the loving attention and affection that dogs need on a regular basis. 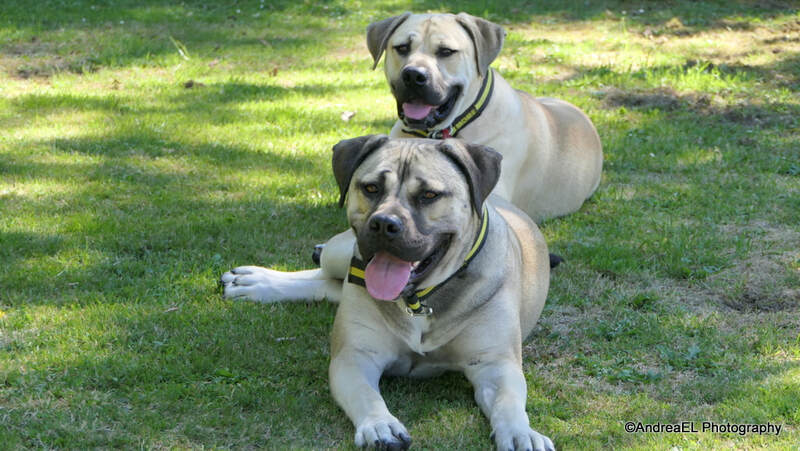 We’re pet owners as well and we understand a dog’s need for constant, loving attention which is why one of us will be with your dog from the time we pick them up until we delivery them back. Some may think doggie daycare is an extravagant expense but it’s not; it is surprisingly affordable with rates of $25.00per day. This includes pick up and delivery within Gore. If you feel that doggie daycare would be a little too much for you or your dog every day, consider bringing your dog once or twice a week. A tired dog is a happy dog. A dog who has been active and well-cared for throughout the day will naturally get tired. When a dog is tired, he tends to be more content which in turn, makes you, the owner happy as well. 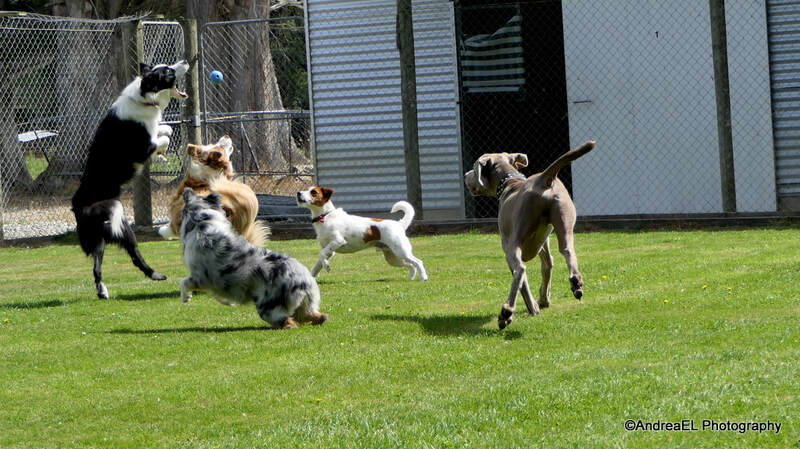 If you’d like more information about doggie daycare at Pukerau Boarding Kennels, give us a call or Contact us. We’d love to have you drop by and check out our facilities or take a tour. We look forward to serving you and your pet in our daycare facility.